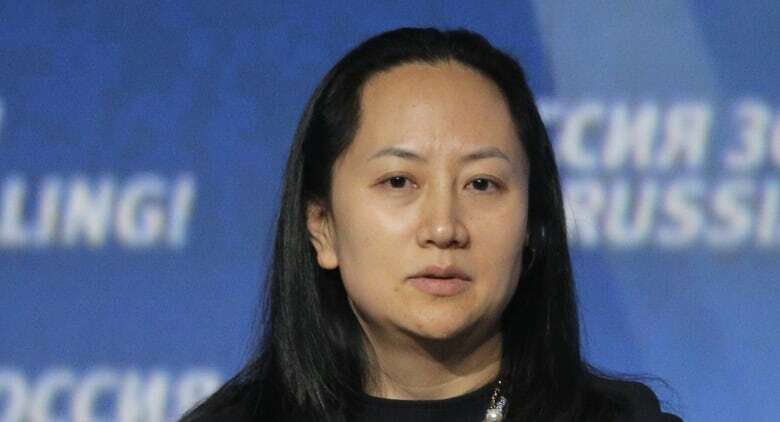 Huawei's chief financial officer has been released on $10 million bail — with five guarantors — as she awaits possible extradition to the United States on fraud charges. She exited through a side door at B.C. Supreme Court in downtown Vancouver around 8 p.m. PT, nearly five hours after Justice William Ehrcke delivered his decision. Dressed in a bright hoodie and jacket, Meng was surrounded by security and rushed into a black car, headed to the west-side home where she is set to live. In delivering his reasons for granting the bail, the judge said $7 million of that bail payment must be made in cash. After Ehrcke finished reading his reasons for granting bail, Meng turned to smile and wave at her husband sitting in the front row. He'd been sitting hunched over with his chin in his hands as the judge spoke. 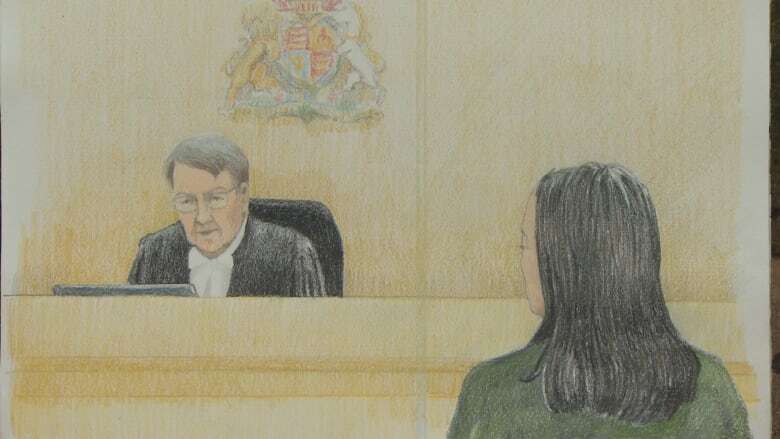 Ehrcke said the "sole question" he had to consider was whether bail terms proposed by Meng's legal team were enough to "offset the risk" of her fleeing Canada. He told the courtroom he believed "the risk of her non-attendance in court can be reduced to an acceptable level" under the bail conditions. 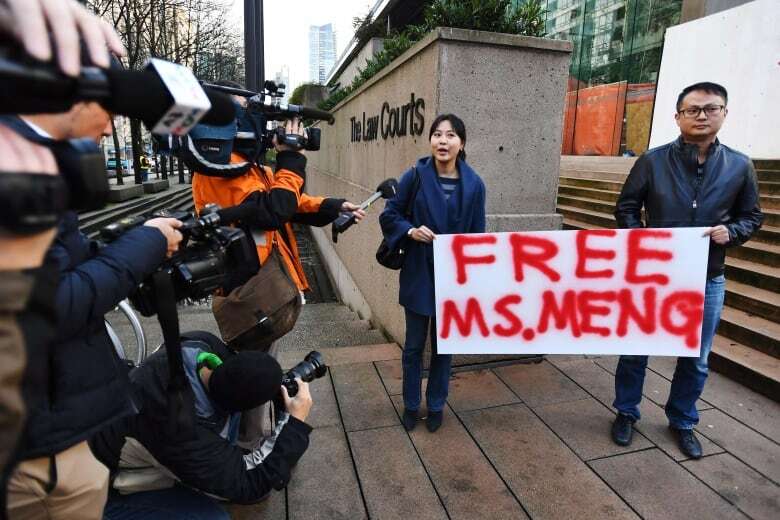 The decision, which prompted an eruption of applause from the packed courtroom gallery, comes after a back and forth between Meng's lawyers and Canadian prosecutors acting on behalf of the U.S.
Meng, the daughter of Huawei's multi-billionaire founder, was detained in Vancouver on fraud charges at the request of U.S. authorities more than a week ago. She was arrested at Vancouver International Airport on her way from Hong Kong to Mexico. Huawei is one of the world's biggest suppliers of network gear for phone and internet companies, with partnerships with various Canadian universities as well as BCE and Telus. Its 2017 annual report said it brought in more than $90 billion US in revenue. In a statement posted on Twitter, Huawei Technologies said it "looks forward to a timely resolution." "We have every confidence that the Canadian and U.S. legal systems will reach a just conclusion in the following proceedings. As we have stressed all along, Huawei complies with all applicable laws and regulations in the countries and regions where we operate, including export control and sanction laws of the UN, U.S., and EU," it read in part. The first two days of Meng's bail hearing were a back-and-forth argument over how — or if — the court could be assured Meng wouldn't flee if released on bail. Martin presented his client as a person of sound character who could be trusted to remain in Canada, since it would embarrass China if she fled. He also pitched an in-depth surveillance program that Meng would pay for herself. Martin has also said that Meng's husband would pledge a total of $15 million — including the value of two Vancouver homes and $1 million in cash — and live with her to ensure she obeys court conditions. Justice Ehrcke questioned his suitability as a guarantor because he isn't a B.C. resident. 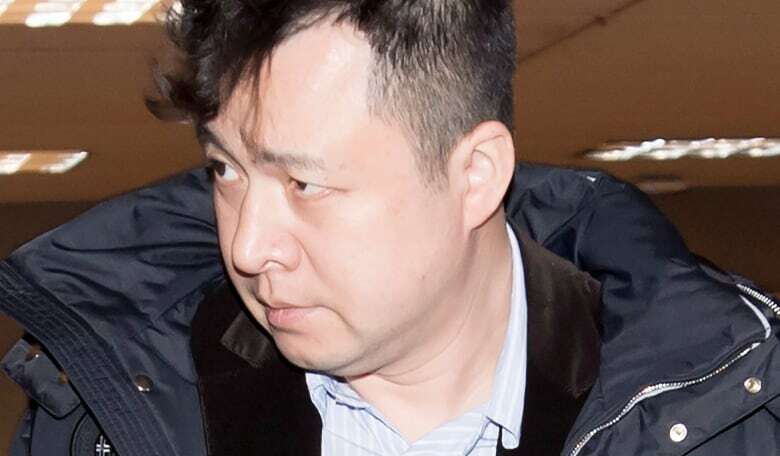 John Gibb-Carsley, a federal prosecutor representing Canada's attorney general, had asked the judge to deny Meng's request for bail, saying she has more than enough money to leave Canada and has no meaningful connection to Vancouver. Gibb-Carsley, acting for the U.S., questioned the ability of four friends to act as sureties and asked that Liu be excluded as an option altogether. The lawyer said Liu's interests were "too aligned" with Meng's; if she wanted to bolt, the lawyer said, "he would go" with her. Meng smiled and laughed with a member of her legal team after she entered the courtroom Tuesday morning, wearing the same green correctional centre sweatsuit she's worn to all her appearances. Liu was seated directly behind the glass prisoner's box, wearing a grey sweater and flanked by Huawei employees. The rest of the courtroom was packed with family and international media, with hordes of people waiting in the hallways for an update. The U.S. has accused Meng of repeatedly lying to financial institutions about the relationship between Huawei and a company called Skycom, which it says did business in Iran in violation of international sanctions. She was being held on a provisional warrant. U.S. authorities have 60 days to make an extradition request and, as of Tuesday, have not done so. Meng's father Ren Zhengfei is said to be worth $3.2 billion US. She serves as deputy chair of the company's board and served on the board of Skycom in 2008 and 2009. Meng's case has rattled international financial markets and threatened the fragile trading relationship between the U.S. and China. The B.C. government has already suspended at least one planned meeting in China in light of the executive's arrest. Hours before Tuesday's hearing, news broke that a former Canadian diplomat — who worked as a political lead for Prime Minister Justin Trudeau's visit to Hong Kong in 2016 — had reportedly been arrested in China. News of Michael Kovrig's detention comes after China warned Canada of "consequences" for Meng's arrest — but it's not clear if there is any link between the two cases. Earlier Tuesday, U.S. President Donald Trump's top representative in Canada, Ambassador Kelly Craft, dismissed Chinese claims of a political motive behind Meng's arrest as "absolutely false."